Over the course of her career, Barbara Stafford has established herself the preeminent scholar of the intersections of the arts and sciences, articulating new theories and methods for understanding the sublime, the mysterious, the inscrutable. Omnivorous in her research, she has published work that embraces neuroscience and philosophy, biology and culture, pinpointing connections among each discipline’s parallel concerns. 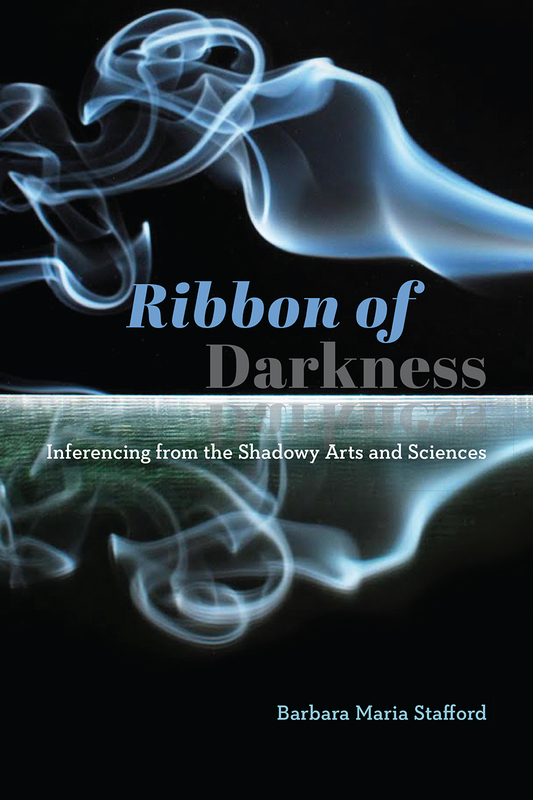 Ribbon of Darkness is a monument to the scope of her work and the range of her intellect. At times associative, but always incisive, the essays in this new volume take on a distinctly contemporary purpose: to uncover the ethical force and moral aspects of overlapping scientific and creative inquiries. This shared territory, Stafford argues, offers important insights into—and clarifications of—current dilemmas about personhood, the supposedly menial nature of manual skill, the questionable borderlands of gene editing, the potentially refining value of dualism, and the limits of a materialist worldview. Stafford organizes these essays around three concepts that structure the book: inscrutability, ineffability, and intuitability. All three, she explains, allow us to examine how both the arts and the sciences imaginatively infer meaning from the “veiled behavior of matter,” bringing these historically divided subjects into a shared intellectual inquiry and imbuing them with an ethical urgency. A vanguard work at the intersection of the arts and sciences, this book will be sure to guide readers from either realm into unfamiliar yet undeniably fertile territory. "The ideas that are sewn into the textile of her writing like a multitude of small mirrors give her essays their many sided appeal. The mirrors--of the art she looks at, the writers she quotes, ideas from her other books--are worth exploring; the complexities rewarding." "This book is required reading for all of us who are reinventing the arts and sciences for the 21st century. Stafford, offering both a deep scholarly look back and a thoughtful look forward, calls for the resurgence of 'an artful experimental science.' She argues for those working in the arts and humanities to find common ground with those in the sciences, engineering, and medicine. This is a must read for revitalizing transdisciplinary scholarship." “Stafford has given us fascinating new insights into the histories of art, science, and media—again enlightening for the understanding of our times. Ribbon of Darkness is excellent research, a great read, and a must on the bookshelf."